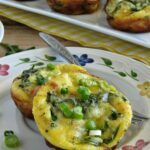 There are so many benefits to grinding my own flour – least of all is the cost! 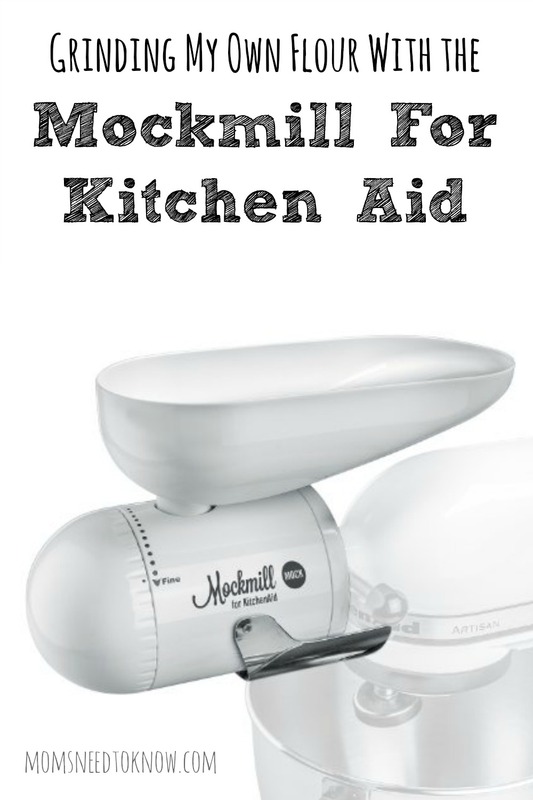 The Mockmill for Kitchen Aid makes it so easy to do at a reduced cost! 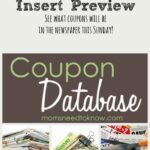 As my long-time readers know, Moms Need To Know started as a couponing website. That was back in 2008 when our budget was so tight, I didn't much care what we ate, as long as it was filling and I could get it cheap (or free). Well, 8 years later, our budget has much more room in it and I very much care about what we are eating. 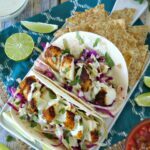 I changed the focus away from couponing and now am all about making healthy and delicious meals for my family. 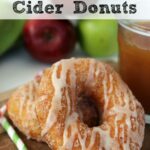 We started juicing and I am making more foods from scratch than ever! One of my friends started grinding her own flours about 2 years ago and I was intrigued by it. I liked the idea of being able to grind my own flour. 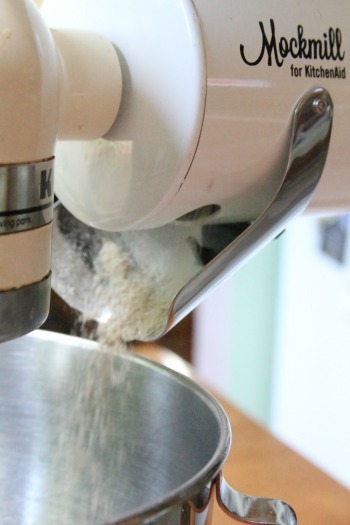 But when I looked in to buying a grain mill, I was shocked to see that the ones that had even halfway-decent reviews were $300 and up – not to mention that it would be another bulky appliance taking up space on my counter or in my cabinets. Enter the Mockmill grain mill attachment for the Kitchen Aid. I love my Kitchen Aid. It was a wedding gift 22 years ago and I am not kidding when I say that I use it 5 times per week. They have come out with many attachments for it over the years, but never one (that I know of) that would mill grains for you. 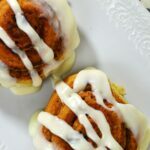 It's cheaper than store-bought organic flours – wander the organic section of your supermarket and you will be shocked at the price of “regular” organic flours, much less any flours people may need to use for “allergy diets”. It leaves all the nutrients in your flour that processing removes – you know why wheat germ is sold separately from wheat flour? Because wheat germ spoils much more quickly than the flour does and the flour would go rancid. But that wheat germ is a fabulous source of vitamins, minerals and enzymes. 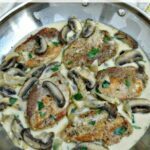 It just tastes better – I have absolutely noticed that some of the same recipes that I have made using freshly-ground flour taste much better than when I was using store-brand or even “premium” flours. No preservatives – let's face it – we all know that, in order for supermarket flour to be shelf-stable, they have to add preservatives to it. When I grind my own flour, I know exactly what I am getting! So why use a Mockmill? 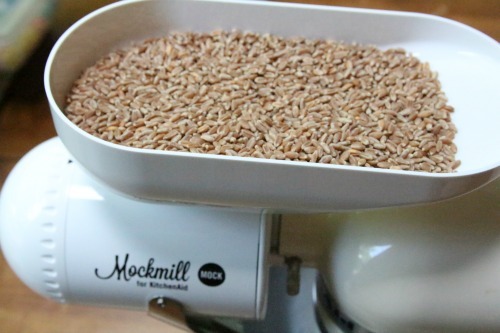 The convenience – the Mockmill grinds your wheat berries in very little time. I can throw 2 cups of wheat berries (which gives me about 4 cups of flour) in my Mockmill, set my KitchenAid to speed 6, and it is done in about 3 minutes (seriously – I set my timer on my iPhone!). I can usually grind the flour I need in less time than it takes to pull out the rest of my ingredients! The fun – Honestly? It was just FUN to grind my own flour. I felt like I was living in the 1800s. Although since I was doing it with my high-powered mixer and timing it using my iPhone, maybe not so much. But seriously – it is just COOL to grind your own flour! And the best reason to use a Mockmill? The Deal! I have partnered with Mockmill to bring you an incredible $80 off not just the Mockmill, but an entire starter kit for less than the cost of the mill at many online websites! 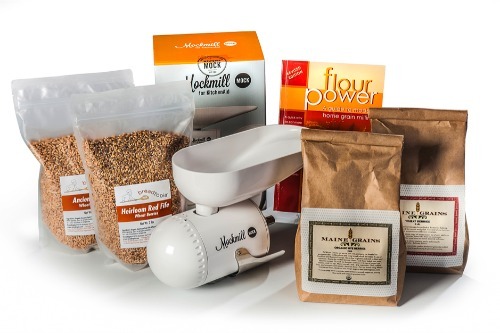 There are 3 kits available (including a gluten-free kit), normally priced at $259, but when you use the code: momsneedtoknow you will get $80 off, bringing the cost down to just $179! This sale is good through August 31, 2016. The mill alone sells for $199 on Amazon, so this is giving you $10 off that price AND some grains and a comprehensive book of tips and recipes to get you started! I am still new to grinding my own flour but now, with the Mockmill, I don't see myself going back to buying flour in the stores. It's just too stinkin' easy (and better for us) when we grind it ourselves! So head on over to the Mockmill website before 8/31/2016 and use the code: momsneedtoknow to get an entire starter kit for just $179! 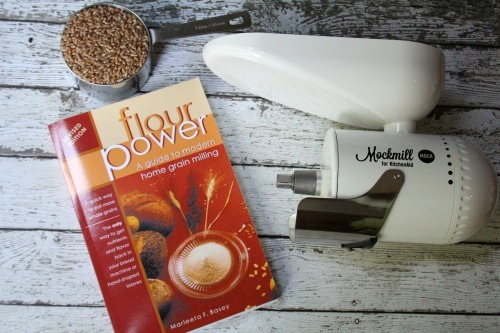 Disclosure: I received a free Mockmill and a copy of “Flour Power” in exchange for this post, but the opinions are entirely my own. I was going to start grinding my own flour eventually anyway. The people at Mockmill just helped me to speed up the process! I don’t have a stand mixer and in all honestly I don’t remember the last time I bought flour. When you live alone you tend not to need it or a lot of other things! 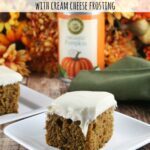 This does sound intriguing and a must have for all the bakers out there who also worry about eating organic. This really tweaks me, Mindi! I’ve been wanting to grind my own flour for a good while now, and this looks perfect. Thank You! I bake a lot and I really want, need this in my life! I love my stand mixer too, and I’m sure I’m abusing it by using it more than I should lol, though I haven’t really bought any attachments for it. I think this is going to be my first one!! Oh this is so cool. I think making bread from scratch sounds fun. I’d love to see how freshly ground flour enhances the flavor. Thats so impressive. My husband loves this idea! That’s neat. I’ve never heard of this attachment before, or known anyone that ground their own flour. Can it grind anything else? Oh this is awesome – I didn’t know such an attachment existed! I have yet to buy attachments for my KitchenAid but this one looks like a great addition! This looks like an amazing tool! 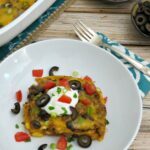 I love making my own oat flour but have never used anything like this!